Each year, twenty-four million tourists converge on Paris. Half of them make a point of visiting the city's fourteenth-century Notre Dame Cathedral--but only stay for seven minutes on average. However, those who take their time can hear and admire one of the finest instruments in France. The great Notre Dame organ is among the most famous in the world, and of a venerable age: of its 7,800 pipes, at least twelve have been functioning since medieval times! According to Notre-Dame de Paris. Les Orgues (Association Maurice de Sully, 1992), "Apart from the traditional accessories (couplers between manuals, pedal couplers, reed stops, and so on), the Notre-Dame console has many special tools. . . including sostenuto for each manual and the pedal keyboard, as well as a number of programmable swells, and, of course, a mixer with 'unlimited' possibilities that allows for pre-programming thousands of sound combinations." The cathedral is always buzzing with liturgical and musical activity, and this accounts for the fact that there are not just one, but three titular organists for the great organ. The present incumbents--Philippe Lefebvre, Jean-Pierre Leguay, and Olivier Latry--were appointed in 1985. Olivier Latry first studied music at the conservatory in Boulogne-sur-mer (Pas-de-Calais), where he was born. He then studied organ at the Saint-Maur-les-Fossés conservatory with Gaston Litaize. Latry succeeded Litaize as professor in 1990 and has recorded the latter's works. His appointment at the early age of twenty-three to one of the three titular organ posts at Notre Dame de Paris has brought him international renown, as have his recordings of the works of Louis Vierne, Maurice Duruflé, and Johann Sebastian Bach. Last year Deutsche Grammophon brought out his recording of the complete works of Olivier Messiaen, a project unanimously hailed by critics. Latry (with whom I spoke by telephone) says a combination of circumstances brought him to Notre Dame. "There were two organ posts open in Paris: Notre Dame and Saint Sulpice. At this point Cardinal Lustiger, archbishop of Paris, decided to draw up a list of applicants according to aptitude. Of course, all the young organists wanted their names on the list, reasoning that well-known organists would fill the major posts, thereby freeing up those they already held. At the time I'd already been a finalist in the competition for the post in Chartres Cathedral and was a professor at the Institut catholique de Paris. Both musical and church circles knew about me, and so I was chosen to take part in the competition for Notre Dame. I didn't think I'd be a winner, however, and felt very relaxed about it." Perhaps this is exactly what impressed the judges. Whatever the case, Latry was chosen for one of the three positions attached to France's greatest organ, an instrument on which he now performs with consummate skill. "There are very good instruments just about everywhere," says Latry, "but the Notre Dame organ takes the music to another level. When I recorded all Messiaen's works, I felt this organ was truly perfect for his music, because it expands it even further than the composer envisaged, while retaining his spirit. For example, Messiaen wrote triple forte for a tutti on the score, noting that this applied to all the stops. But what should you do when he writes quadruple forte? Messiaen's joking reply was, 'An even louder tutti!" However, you can't actually play it, because all the stops have already been used for the triple forte. An organ like the one in Notre Dame lets you do super tutti and super pianissimo equally well. But then again it's an instrument that has its limitations. For one thing, it's a French organ, so you can't enjoy playing Bach unless you adapt it. Obviously the organ's sound is linked to the acoustics of the sanctuary, with its seven-second echo. This is an organ made for cathedral masses. Anything polyphonic isn't really well served by it, and that's why Messiaen suits it so well, since he's hardly polyphonic at all, just like César Franck or symphonic music in general, with its sweeping harmonies--although this doesn't prevent the instrument from being expressive." Latry doesn't play exclusively at Notre Dame. He gives frequent recitals across Europe, in Russia, Japan, Australia, and the Americas. Each organ is different and requires the performer to adapt. "Each time I play a new instrument I need between five and twenty hours of preparation--not so much on technique, but mainly on musical research, depending on the complexity of the registration [i.e. the combination of stops]. Sometimes I'm obliged to substitute other works for those already on the program." Latry acts as a sort of ambassador for the French repertoire and doesn't hesitate to do everything possible to enlarge it by taking part in projects featuring many new works. In recent years he has performed music by Xavier Darasse, Claude Ballif, Thierry Pécout, Vincent Paulet, Thierry Escaich, and Jean-Louis Florentz. Is it possible that good works are still being written for the organ? "You know," replies Latry, "if the music isn't good, I don't play it! But to tell the truth, I'm involved in the choice of composers for most projects, so you might say I'm not risking much." 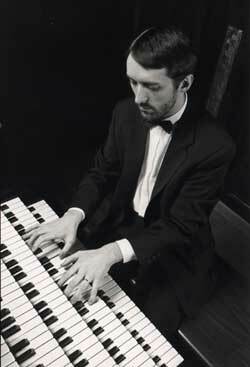 Latry will be performing at the Saint Jean Baptiste Church in Montreal during the 2003 McGill Summer Organ Academy. On his program are Messiaen's Pentecost Mass, a César Franck chorale, and a movement from Marcel Dupré's Evocation cycle (Dupré was Messiaen's teacher). Latry has played here several times and is familiar with both the organ and the church. "This is where I gave my first Canadian concert," he says. "And that was before the organ was restored! The restoration has given it great qualities: it's not just an instrument for music, but a truly musical instrument, something that's unfortunately not always the case. It has a lot of potential: the swell capacities and the varieties of principal and flue stops give you a wide range for combining stops in subtle ways. And it's important to have a broad palette and to be able to produce the sound you have in mind, a little like a conductor asking the second violin to play a little softer, or an oboe to harmonize with the flute." The "king of instruments" truly offers the organist the possibility of controlling a whole orchestra with the tips of his fingers. It's no surprise to learn that Latry has also studied conducting. Will he be a conductor one day? "It was a sort of dream when I was younger," he says, "but you can't do everything. And then I get a lot from Notre Dame, both on the musical and spiritual level, because it's such a unique place. It's a good thing there are three titular organists, however, because handling it on your own would be unthinkable. There are seven services every Sunday and we're almost constantly doing improvisation. Clearly, it's important to be able to take time out to refresh yourself, otherwise you soon get in a rut. The fact that there are three of us allows each of us to play a weekend in every three. It suits us perfectly and is good for the audiences, who can hear different styles." Latry's performance on the great organ of Saint-Jean-Baptiste Church (309 Rachel E., Montreal), takes place on Friday July 18 at 8pm. Whether in his own time or the present day, Olivier Messiaen (1908-1992) influenced a great many composers. Much of this influence flowed from his courses at the Paris Music Conservatory, where he taught musical analysis and composition from 1942 to 1978, but the inspiring effect of his abundant works has also left its mark. In the world of organ music, many consider Messiaen equal in stature to Johann Sebastian Bach--one of the greatest. In 1931, when Messiaen had just graduated from the conservatory with five first prizes to his credit (counterpoint and fugue, piano accompaniment, organ and improvisation, history of music, and composition), he was named titular organist of the Church of the Trinity in Paris (Cavaillé-Coll, 1868-1871, 3 manuals, 60 stops), a post he would keep almost to the end of his life in 1992. Messiaen was deeply committed to the Catholic faith and also attracted by the mystery of bird song, of which he made a serious study. "I have written religious works of music that are acts of faith," he said, "but these also express my admiration of nature through the use of bird songs and numerous allusions to the various stars in our galaxy." The recording reviewed here contains all of Messiaen's works for organ, performed on the great organs of Notre Dame Cathedral in Paris (Thierry, 1733, 5 manuals, 110 stops) by Olivier Latry in 2000. The CD was released in 2002 to mark the tenth anniversary of Messiaen's death. There is no doubt that it provides an incomparable benchmark from every standpoint. There are other recordings, of course, such as those by Gillian Weir, Rudolf Innig, or Louis Thiry. It is not our intention to critique these performers here. Once a certain level of perfection has been attained it seems superfluous to judge the competition. Everything about this recording is magnificent--the meditative and the passionate, the jubilant and the ecstatic. The 1951 Livre d'orgue, a masterpiece of its kind, marks only one of the highlights of Messiaen's oeuvre. Although written for liturgical uses, it is a work that is anything but conservative. The use of twelve-tone scales and serial technique creates a stunning shimmer of sound that is sometimes so powerful (at the beginning of the section entitled Les Yeux Dans Les Roues, for example) that it is hard to believe that there is only a single player at the console. 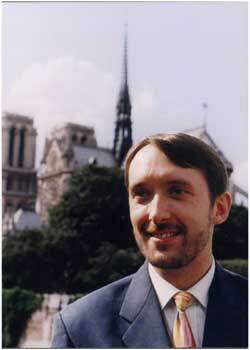 Olivier Latry had been one of Notre Dame's titular organists for fifteen years when he made this recording. He was able to coax sounds out of his instrument that would no doubt have astonished Messiaen himself. The composer actually said that Latry was "the new Marcel Dupré"--an homage that his former pupil appreciated keenly. Messiaen's 92-page Livre d'orgue, written in French, English, and German, contains a chronological commentary by Paul Griffiths. It complements eleven other titles previously released by Deutsche Grammophon. Two other recordings of orchestral works have appeared since then on the same label, making Deutsche Grammophon's catalogue the nec plus ultra of recorded music of one of the greatest twentieth-century composers.